Talk about hiding in plain sight. Chicago Police on Tuesday discovered two massive fields of seven-foot marijuana plants while flying over the space in a helicopter. Officers on foot later found "two football fields worth" of pot plants growing in the open about 500 feet east of Stony Island near East 107th Street. Edward Graney was in a helicopter headed back to base around noon, when he spotted it. "We may have seen it before but didn't notice it but yesterday," Graney said. "It was large and it caught my eye, so we called it in." 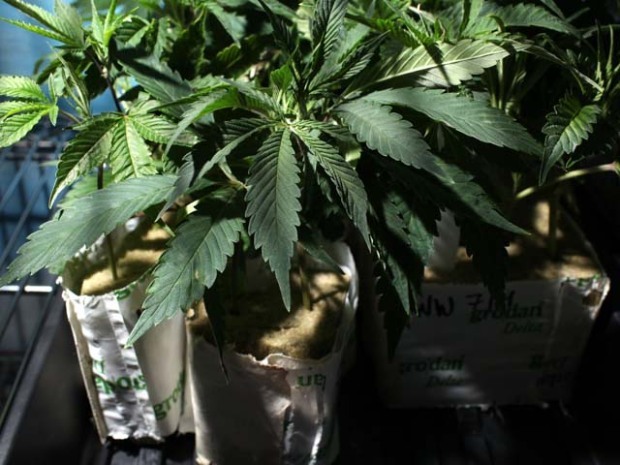 Chicago officers found "two football fields worth" of pot plants growing in the open about 500 feet east of Stony Island near East 107th Street. Narcotics officers say you normally don't see an operation this large in the city. "You don't see it because we don't have the room and the seclusion," Lt. Michael Ryle said, "so this would be one of the biggest ones, I would think." Ryle estimates the fields yielded 1,000 plants, each producing about a pound of pot. It's unclear how long the plants were there, but Ryle said the growth would point to at least spring. Police Supt. Garry McCarthy told reporters the value could reach as high as $7 million to $10 million. "People will do whatever they can to make that money," McCarthy said. "Spending that much time and effort setting up an operation like this in Chicago, it is brazen." Along with the marijuana, police found an unoccupied camp with a sleeping bag, tarp and soda that most likely belonged to a watchman. Authorities were on guard Tuesday night until crews in the daylight were able to get into the deep brush and remove the more than 1,000 plants, which will be relocated and burned. Clearing the pot, authorities said, could take a few days. No arrests have been made. Don't Run! Watch ... The 2012 Bank of America Chicago Marathon kicks off at 7 a.m. on Oct. 7. NBCChicago.com will bring you live streaming coverage of the entire event. Watch on your computer, watch on your smart phone or watch on your TV. This is going to be big.